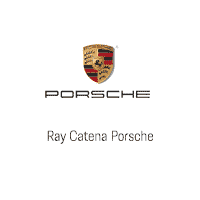 Ray Catena Porsche stands out as the Legend in Luxury by providing opulent cars and indulgent service for more than 50 years. Consistently one of the top Porsche dealers, we have a vast inventory of 911, 718 Boxster, 718 Cayman, Panamera, Macan, and Cayenne models. Our family-owned and operated auto group goes beyond the notion of simply selling cars and being friendly and it doesn’t end there. After you purchase or lease your vehicle, we work with you to keep it running like new. We take the personal approach because you deserve nothing but the very best. That’s why our clients come from all over New Jersey, Staten Island, New York, Philadelphia, and beyond.